Refuting India's claim of shooting down Pakistan's F-16 aircraft, the DG ISPR said that Pakistan had not used F-16 in entire operation and no Pakistani fighter jet has been hit. Refuting India's claim of shooting down Pakistan's F-16 aircraft, Pakistan's Director General (DG) Inter-Services Public Relation (ISPR) Major General Asif Ghafoor said that Pakistan had not used F-16 in entire operation and no Pakistani fighter jet has been hit. 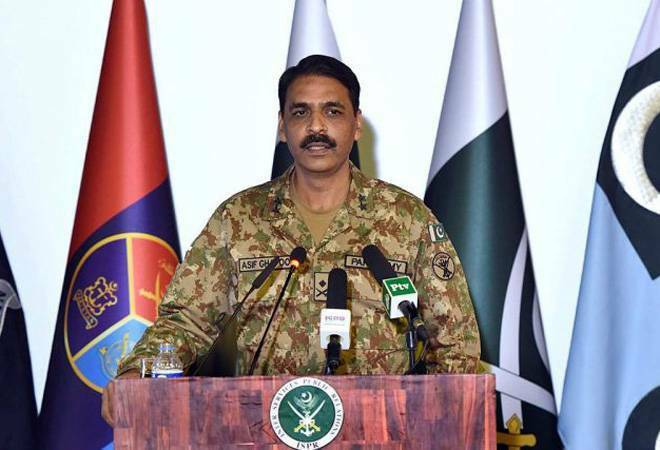 A day after Indian Air Force blew up the terror camp of Jaish-e-Mohammed in Balakot, Pakistan's Director General (DG) Inter-Services Public Relation (ISPR) Major General Asif Ghafoor on Wednesday claimed that it undertook strikes across the border from Pakistani airspace. "Sole purpose of this action was to demonstrate our right, will and capability for self defence. We do not wish to escalate but are fully prepared if forced into that paradigm," he said. Earlier today, Indian news agency ANI had reported India had shot down a Pakistani F16 fighter jet which had intruded inside Indian air space in Jammu and Kashmir's Poonch and Rajouri sectors. A parachute was seen as the F-16 went down, however, the condition of the pilot is still unknown, reported ANI. Details are yet to come, but Pakistan Air Force (PAF) claimed that in response to PAF strikes this morning, Indian Air Force crossed LoC. "PAF shot down two Indian aircrafts inside Pakistani airspace. One of the aircraft fell inside AJ&K [Azad Jammu and Kashmir] while other fell inside IoK [Indian occupied Kashmir]. One Indian pilot arrested by troops on ground while two in the area," DG ISPR took to Twitter to confirm the action. Addressing a press conference, Ghafoor said that two Indian pilots have been arrested. As of now, there is no official statement from the Indian government regarding the incident. Reports also mention that two aircraft of the Indian Air Force crashed in Jammu and Kashmir's Budgam. The SSP Budgam said, "Some aircraft has fallen. As of now we aren't in a position to ascertain anything. Technical team is here, they'll ascertain facts. We have found 2 bodies so far and have evacuated them. Search is going on here."